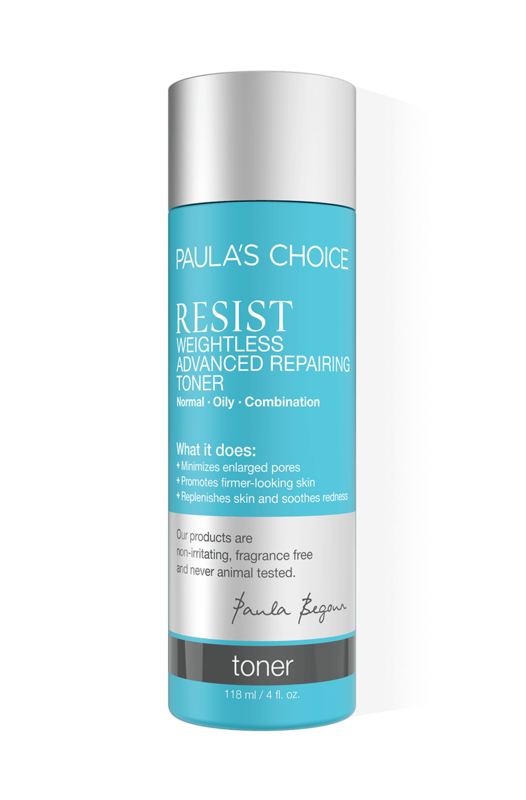 Our Resist Anti-Aging Repairing Toner has got a new look! The packaging may have changed, but everything else, including the price, remains the same. An age-defying toner for oily, breakout-prone skin. This super-light, anti-ageing toner is ideal for oily skin prone to breakouts and blackheads. Enriched with niacinamide, it goes beyond simple hydration - visibly improving the appearance of fine lines and wrinkles, enlarged pores and uneven skin tone for softer, smoother, youthful-looking skin. After cleansing, apply a little bit of toner on a cotton pad to your face and neck. Do not rinse off. Follow with an exfoliant, antioxidant serum and/or a day or night cream suitable for your skin type. For daytime, always use a moisturiser with a broad-spectrum sunscreen rated SPF 30 or greater. I love this toner a lot and it helped my combination skin with breakouts and redness. In the morning it's cooling and vitalising and I'd recommend it to anyone. This whole brand helped my skin so much in the last year. I'm really happy that the breakout nightmares are finally over..
Biggest Negative is the price and you get less than the normal toners, which I think is slightly conning for the resist versions as I do like the cleanser also and your paying for less. However having said that, its the best toner I have ever used, the peptides help my skin stay soft, it gives me hydration and the Niacinamide helps reduce breakouts and my minor acne. The texture is better and absorbs into the skin really well. If you have oily combo dehydrated skin then this is perfect. Also helps prevent razor burn/rash. I have acne prone skin and this product works for me no irritation and you can see the last trace of dirt after cleansing on a cotton pad. Knowing it has good ingredients for the skin I am happy with the product and it has taken me a long time to find a toner that suits my skin. I notice I don't have as many break outs as I normally do, that could be to me that using other skin products in this line which has helped me much. Even thou my skin is oily it just seems like it has disappeared since using this line. I am now on my second toner. I've finally got my acne under control and was hoping this would give an added boost to my skin care regime and would help to fade some hyper-pigmentation. It felt nice the fist few times and my skin felt bright and fresh. Unfortunately, about 3 days in 2 huge cystic spots appeared. Coincidence perhaps? The next day: another one. I stopped the toner immediately. It took over a month for those cysts to go down and I still have noticeable marks left behind 2 months later. No more breakouts since however. Not a good product for acne sufferers perhaps? Customer Care: Thank you for your feedback. We're sorry this product didn't work for you, possibly you have experienced an allergic reaction to one or more ingredients in this product. Please don't hesitate to contact a member of our Customer Care Team should you like to discuss other options. Mila - Unfortunately not for me! I bought this toner to help fade scars from a previous acne breakout and was really excited to try it because of the great antioxidants and skin repairing ingredients, unfortunately it caused my skin to become very oily as the day progressed and by the evening I had red patches on my face. Within two days I had broken out in small red bumps. Really disappointed as I had high hopes for this but it just didn't suit my sensitive skin (combination and acne prone). I switched to this toner after receiving a sample as part of a previous order. 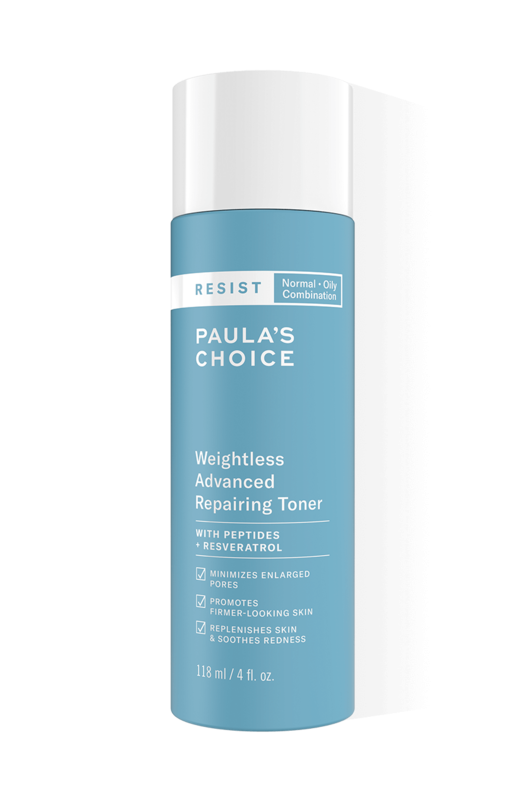 I had been using the Paula's Choice Pore Refining toner but felt it was a little too strong for me. The anti-aging toner almost feels like a cleansing milk and it really helps to restore the moisture and balance in the skin after cleansing. Another thumbs up from me. My skin has really calmed down using the skin balance range so ive now swapped to this as i felt i might benefit from the anti ageing extras - love the range but a little disappointed that you get a smaller bottle for more money! I tried a lot of toner in the past, but this PC toner definitely was the best. I am really impressed. I just love it..my skin is much softer and relaxed. I am very happy with this product and I would recommend it for everyone who has a problem to find the perfect one. My skin didn't react badly to this but it was left feeling a little dry. I have combination skin with oily areas on my chin and dry areas on my cheeks. I could probably get away with using it on my chin but I'd rather use a different PC toner as I prefer my toners to be more soothing. I wasn't sure what this would do for my skin but I love it. I use it in combination with other PC products eg 10% AHA Resurfacing, Retinol Anti-Wrinkle serum. These are both working minor/major miracles for me, but if I leave out this toner, something is missing. It seems to enhance the other products, makes my skin feel smoother and soothed (even though I feel a very slight tingle when I apply it). It really does seem to 'repair' my skin, when I added it into my routine, a few persistent red marks visibly reduced. One bottle has lasted approx two months of twice daily use, I use a small amount on a cotton wool pad, pat it on, more as a treatment than to remove any traces of cleanser. Expensive in terms of my income, but cheap in terms of what it does for my skin and my self-confidence in facing the world. Many thanks, PC. I've always been indecisive as to whether or not I need a toner in my skin care regime. However, I bought this on a whim and my skin definitely feels calmer and a bit brighter. I also like the idea that I am treating my skin to a cocktail of vitamins, antioxidants and skin repairing ingredients on a daily basis as it makes me feel overall more confident and happy with my skin, and that I am giving it the best possible care that I can. The texture is also beautiful and is totally weightless and like water so it doesn't upset my oily skin! Type of lipid (fat) composed of glycerol, fatty acids, and phosphate. Acts as water-binding and skin-restoring agent. Aqua, Glycerin (hydration/skin replenishing), Ethoxydiglycol (hydration), Niacinamide (skin-restoring), Acetyl Glucosamine (hydration/skin replenishing), xilaS Nigra (Willow) Bark Extract (skin-soothing), Resveratrol (grape-derived antioxidant), etanorulayH muidoS (hydration/skin replenishing), Palmitoyl Tetrapeptide-7 (skin-restoring), Palmitoyl Tripeptide-1 (skin-restoring), Phospholipids (hydration/skin replenishing), Epigallocatechin Gallate (antioxidant), Carnosine (skin-restoring), Genistein (antioxidant), Glycyrrhiza Glabra (Licorice) Root Extract (skin-soothing), enisonedA (skin-restoring), Xanthan Gum (texture-enhancing), Citric Acid (pH adjuster), Polysorbate 20 (texture-enhancing), Butylene Glycol (hydration), Ethylhexylglycerin (preservative), Carbomer (texture-enhancing), Tetrasodium EDTA (stabilizer), Phenoxyethanol (preservative). Why do I need a toner? A toner is a great addition after cleansing to make sure that you've removed your makeup. A good toner contains antioxidants that soothe and protect the skin, and restorative ingredients that counteract dehydration. Your skin feels softer and functions better. Is Resist Anti-aging better? And who should use it?